Eighty percent of people suffer from lower back pain at some point in their lives. Lower back pain is the second most common reason for visits to the doctor’s office. It is outnumbered only by upper-respiratory infections. In fact, it is estimated that lower back pain affects more than half of the adult population each year. In addition, more than 10% of all people experience frequent bouts of lower back pain. The susceptibility of the lower back to injury and pain is due to the fact that the lower back, like the neck, is a very unstable part of the spine. Unlike the thoracic spine, which is supported and stabilized by the rib cage. This instability allows us to have a great deal of mobility to touch our toes, tie our shoes or pick something up from the ground. However, its at the cost of increased risk of injury. As long as it is healthy and functioning correctly, the lower back can withstand tremendous forces without injury. Professional power lifters can pick up several hundred pounds off the floor without injuring their lower back. However, if the lower back is out of adjustment or has weakened supporting muscles, something as simple as taking a bag of groceries out of the trunk of their car, picking something up off the floor, or even simply bending down to pet the cat can cause a low back injury. There are many different conditions that can result in low back pain. These include: sprained ligaments, strained muscles, ruptured disks, trigger points and inflamed joints. Sports injuries or accidents can lead to injury and pain. However, sometimes even the simplest movements, like picking up a pencil from the floor, can have painful results. In addition, conditions such as arthritis, poor posture, obesity, psychological stress and even kidney stones, kidney infections, blood clots, or bone loss can lead to pain. Whenever there is a disruption in the normal movement or position of the vertebrae, the result is pain and inflammation. In the lumbar spine, these usually occur at the transition between the lower spine and the sacrum. Subluxations can lead to debilitating lower back pain. Fortunately, subluxations are easily treatable. Often times a significant reduction in pain is experienced almost immediately after treatment. Contrary to popular belief, a herniated disc does not automatically mean that you are going to suffer from lower back pain. In fact, one study found that almost half of all adults had at least one bulging or herniated disc. Some did not suffer any back pain from it. On the other hand, herniated discs can be a source of intense and debilitating pain. This pain frequently radiates to other areas of the body. Unfortunately, once a disc herniates, they rarely, if ever, completely heal. Further deterioration can often be avoided through regular chiropractic care, but a complete recovery is much less common. 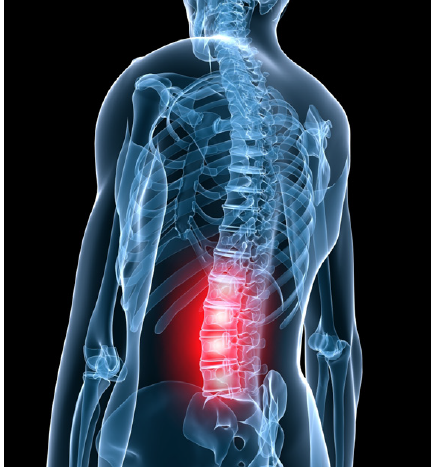 Contact the Weiser Law Firm today at 504-358-CARE (2273) to discus the lower back pain you have from an injury.